Roasting is the easiest and fastest way to make any vegetable delicious. Seasonal root vegetables like carrots, turnips, and sweet potatoes take to roasting especially well, as they sweeten and caramelize in the high heat. They make a perfect accompaniment for slow roasted meats (just throw them in the oven while your pork shoulder or chicken is cooking), or ditch the meat entirely -- roasted vegetables are so warm and tasty they can hold their own as a meal. 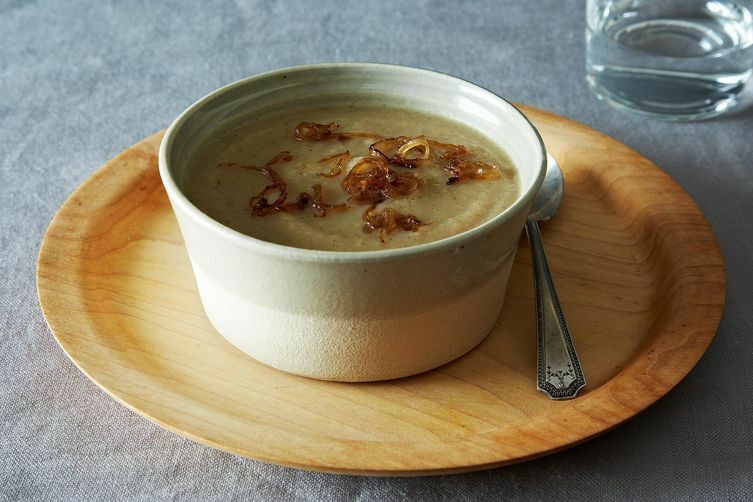 One of the easiest ways to use leftover roasted vegetables is to turn them into a creamy soup. Provisions Editor Posie Harwood heats them in a large pot on the stove, then adds warm chicken or vegetable broth, and purées the mix with a stick blender or in batches in a food processor. She also recommends turning roasted vegetables into a sort of hash: Cook them in a hot skillet until they’re crispy on the outside and enjoy as is, or add bacon or sausage into the mix. Start your morning on a savory note by adding roasted vegetables to scrambled eggs, an omelet, or a frittata, as aargersi recommends. She also suggests mixing them in with grits, topped with an egg and kicked up with hot sauce. More: You're just 5 steps away from making a brunch-worthy frittata. HalfPint suggests using them as a base for pot pie. Add shredded meat and gravy or keep it vegetarian by simply adding thickened vegetable stock and herbs. 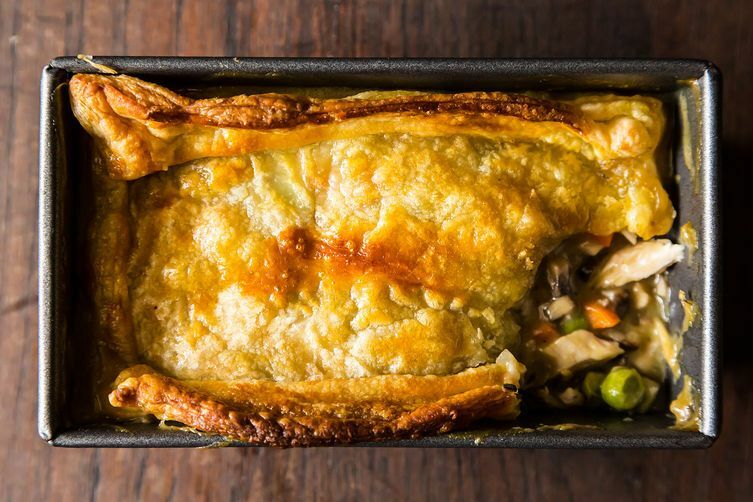 For a riff on the pot pie idea, Sam1148 likes to turn his leftover vegetables into meat pasties or hand pies. He adds some carrots, peas, stew meat, and gravy to the roasted vegetables, then cuts out small disks of pizza dough and tops each with a spoonful of filling. Fold the disks in half, crimp the edges with a fork, cut a few slits on top to release steam, and bake until golden and delicious. You can also store unbaked pies in the freezer to bake later when you need something quick and filling during the week. Savorthis likes to turn her leftover roasted vegetables into a sauce for grilled meat or fish by blending them with a bit of sherry or cider vinegar, garlic, and toasted nuts. The sauce is also great used as a dip for raw veggies or spread on toast. 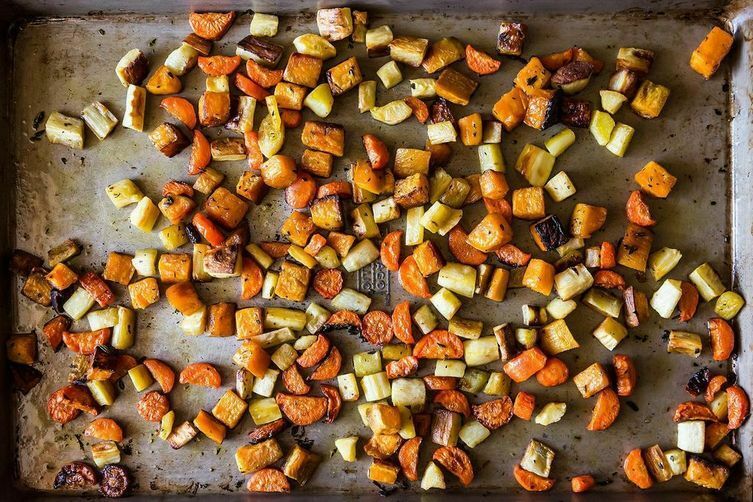 How do you use your leftover roasted vegetables? Tell us in the comments or join in the conversation over on the Hotline! Turn it into a cheesy potato soup. Puree leftover veggies with chicken broth and then simmer with a few added raw cut potatoes and carrots. Melt in cream cheese or whatever cheese you have and add half and half slowly. I would blend it, add a little cream and use it as a pasta sauce. Another good idea is to mix it with a lemony yogurt sauce and wrap it up in a tortilla and panini press it for a quick sandwich. Who ever has leftover roasted vegetables?? Seriously? this is a burning question? I cook "too many" root vegetables several times a week. the leftovers are delicious reheated in the microwave. If you wanted to go to the extra effort, you could put them back in the oven for a few minutes instead. Yesterday's leftovers were roasted carrots, baby purple potatoes, and shallots, reheated in the microwave with a little curry and turmeric, and a spoonful of spicy apple chutney stirred in. Warm quinoa salad; on pizza; stirred into dal with ginger and turmeric; mashed with tahini and Greek yogurt, then sprinkled with za'atar, to put on my homemade lavash crackers.